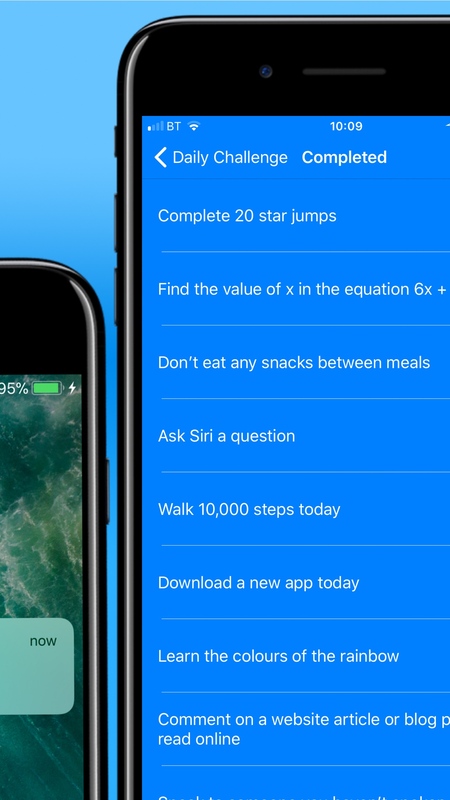 Daily Challenges is the fun new way to improve your health, knowledge and general well-being. 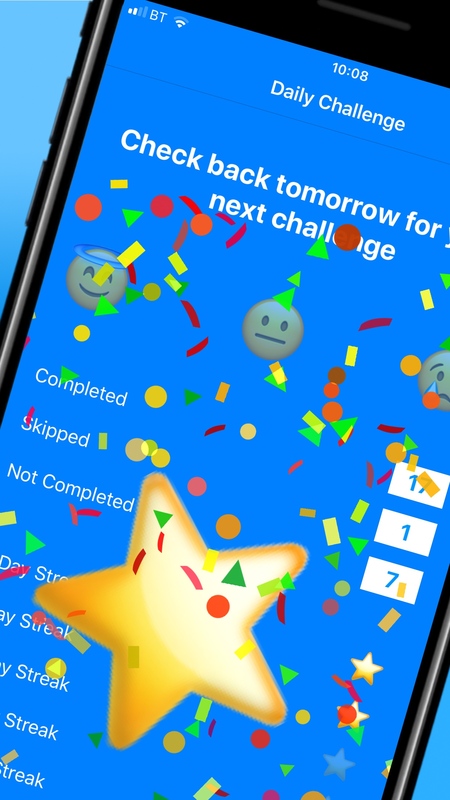 The app will send you a challenge which you are encouraged to complete that day. You will then receive another challenge once that is completed. The challenges are designed to help you increase your general knowledge, skillset, health and fitness and broaden your horizons. Think of it as a fun and enjoyable way to promote self improvement and personal growth. You will find some easy and you will find some harder. Some you will enjoy and others you might not. If you physically can’t complete a challenge then you have the option of skipping. 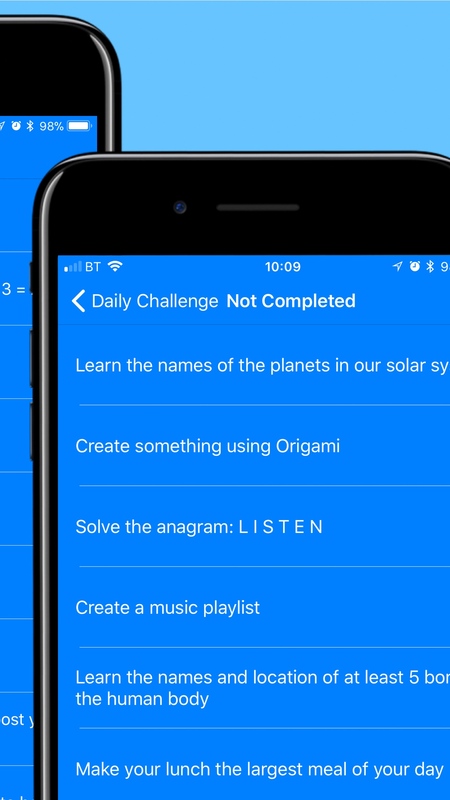 If you simply didn’t complete the challenge then you should be honest with yourself and record it as such. You will be rewarded for continuing to complete the challenges. 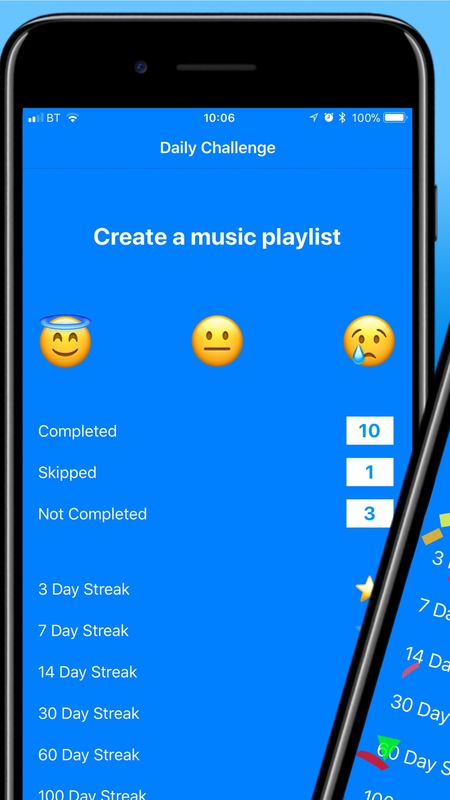 The app is designed to send you a new challenge each day, but it won’t send you your next challenge until you complete the previous one, so you can take your time and go at your own pace. 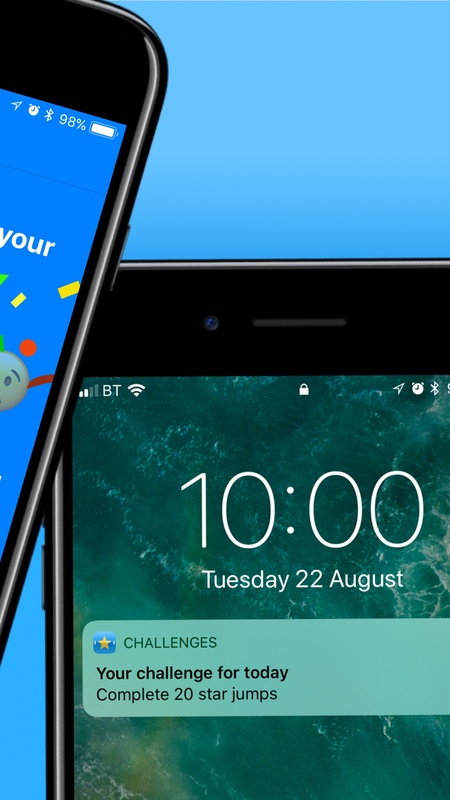 Please note that you will receive the first 3 challenges for free to allow you to evaluate the app, and if you’re finding it useful you will be prompted to complete a small one-time in-app purchase to allow you to continue receiving challenges. Available on the App Store soon!